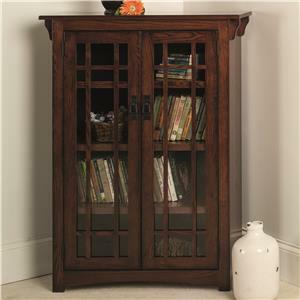 The Barrister bookcase is the perfect addition to your home. 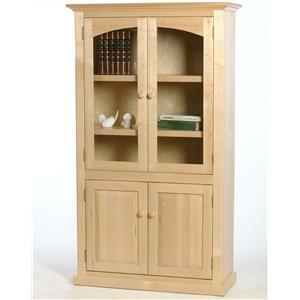 The Barrister bookcase features a simple, decorative molding at the top, creating a clean look. You can customize the wood species, wood finish, style, and size. 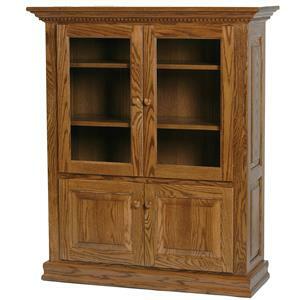 You can even send your desired dimensions, and we'll make a bookcase that fits just for you! The options are unlimited - you can choose different types of shelves, doors, hardware, and even lights. See attached PDF for more information on customization. The Wonder Wood Bookcases Customizable Barrister Bookcase by Wonder Wood at Saugerties Furniture Mart in the Poughkeepsie, Kingston, and Albany, New York area. Product availability may vary. Contact us for the most current availability on this product.